High Calcium in the Blood (Hypercalcemia): Causes of High Blood Calcium Levels. High calcium in the blood is called hypercalcemia and is almost always due to parathyroid disease (hyperparathyroidism). High calcium is almost never due to cancer. All causes of high calcium are discussed on this page, including what tests you need to have to distinguish them. High blood calcium, or hypercalcemia, is almost always caused by a small benign tumor on one or more of the parathyroid glands (you have four). This condition can lead to problems throughout the body, but is easily treated with an operation to remove the parathyroid tumor. As you will see, over 99% of all cases of high calcium are due to a small tumor on one of your parathyroid glands causing a disease called primary hyperparathyroidism. If you have high calcium, the first thing you need to look for is parathyroid disease. Some cancers can cause high calcium, but this is extremely rare. Do not worry about cancer until you have checked your parathyroids! Over 99% of all people who have a blood test that shows too much calcium will have a parathyroid problem. The remainder of this site is about parathyroid disease, so you have come to the right place. We will not go into any detail about hyperparathyroidism on this page--go to the home page and start there. Quickly, parathyroid glands are little glands in the neck that control the calcium in the blood. Occasionally one of them will grow into a benign tumor and cause high blood calcium. It is virtually 100% benign (not cancer), can be cured in most people (by expert surgeons) in under 20 minutes, and is almost always associated with some symptoms. If you have high calcium, you should start at the beginning of this site and read about your parathyroid problem. PARATHYROID DISEASE IS THE CAUSE OF ALMOST ALL HIGH CALCIUM LEVELS. TESTS NEEDED: To diagnose parathyroid disease, you need to have your blood calcium and parathyroid hormone (PTH) measured... that's it! This is all that is needed to make the diagnosis of hyperparathyroidism in more than 95% of patients. You do not need any x-rays or scans to make the diagnosis of hyperparathyroidism. This entire website is about high blood calcium caused by hyperparathyroidism. 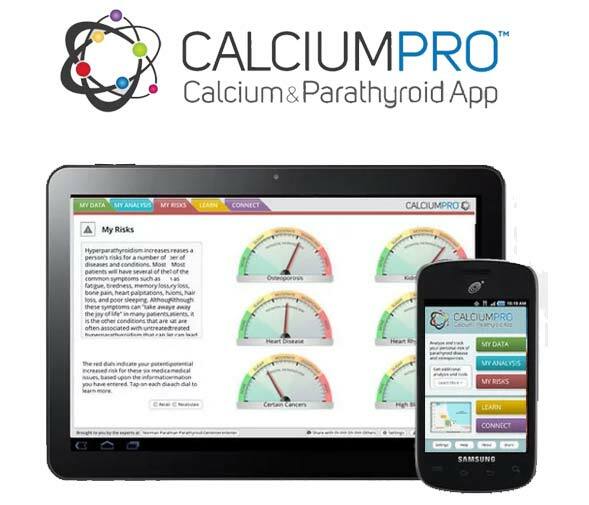 If you have high calcium then you should get the CalciumPro app, which was developed by the expert doctors behind this website. 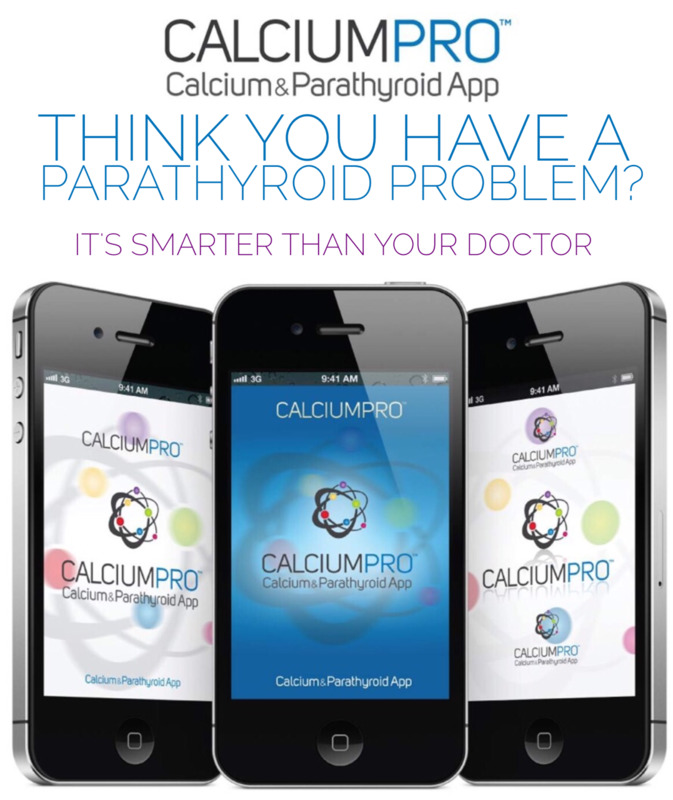 You enter your test results and the app will tell you if you have a parathyroid problem and what your risks are. In rare circumstances, cancer can cause high calcium. But if you are sitting in front of a computer with high calcium, it is extremely unlikely that your high calcium is due to cancer. It's almost certainly due to a parathyroid tumor. "Cancer" is a catch-all phrase that includes 122 different types of malignancies known to occur in humans. Of those 122 types of cancer, there are 5 that are known to be associated with high calcium levels in the blood--typically in people with very advanced cancer. About 10% to 15% of people with one of these types of cancer will have a high calcium level at one time or another. Very high blood calcium (above 13) is the most common life-threatening emergency associated with these cancers, and is typically seen at the end-stage of the cancer (end-stage means the patient is in really bad shape and near the end). Thus, we can take several lessons away from these facts: 1) Cancer is almost never detected in a patient because the doctor noticed a high calcium level (this isn't how cancers show up), 2) High calcium due to cancer almost always occurs in people who are quite sick (dying) from their cancer - it's not a surprise that they have cancer, 3) High calcium due to cancer is usually found in people who are in the hospital - they are sick enough to be in the hospital, 4) if you have high calcium and you aren't sick from cancer, then you are almost guaranteed to you have a parathyroid problem. What cancers can be associated with high calcium? Cancer causes hypercalcemia in two ways. The first is easiest to understand. 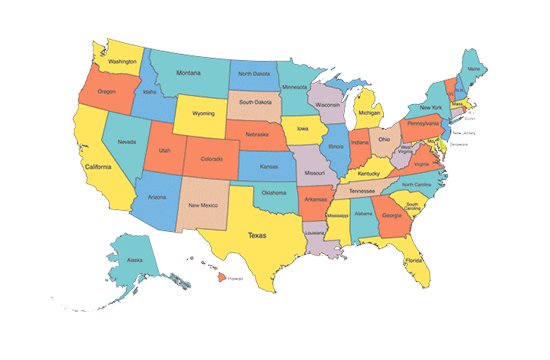 Occasionally certain cancers will spread from their site of origin to other parts of the body. Some cancers (all those listed above) have a propensity to spread to the bone. This is called metastasis - the spreading of a cancer from the place it started to another place in the body). When the metastatic cancer spreads to the bones it grows there and slowly eats away at the center of the bone, and this releases calcium into the blood. The second way that some cancers can increase your blood calcium is via hormones and proteins that the tumor can secrete. One of these hormones is called "parathyroid-related-peptide". These hormones can circulate in the blood and cause the bones to release calcium just like parathyroid hormone does. Some of our patients will have had a PTHrp test done prior to them being sent to us for parathyroid surgery. This is your doctor's way of checking to make sure that your high calcium is not caused by a cancer. We do not require this test to be done, nor should you ask your doctor for it. In our opinion, this test is over used (but at least you understand what it's for). Multiple Myeloma. Multiple myeloma is a cancer (it is in the list above), but we write more about it here because it is the most common cancer cause of high calcium. Nearly half of all people with myeloma have hypercalcemia at some stage during their disease. Multiple myeloma is a cancer of the plasma cells (a type of white blood cell) that are found in the bone marrow. Plasma cells develop from B lymphocytes (a different type of white blood cell) and they produce antibodies that help the body fight infection (bacteria and viruses). When a plasma cell becomes malignant it will divide many times and produce many copies of itself that form tumors in the bone marrow. Over a period of years these tumor erode the inside of the bone, producing holes in the bones (called "lytic" lesions). Since the malignant cells are clones they all act exactly alike and they all produce the same antibody molecule that is secreted into the blood (this is what your doctor will measure). Multiple myeloma is often detected during routine wellness testing where it shows up as an abnormally high amount of protein in the blood, a high calcium level, and often increased amounts of protein in the urine. To make the diagnosis your doctor will order a protein electrophoresis to be done. This test will examine the proteins in your blood to see if there is a large amount of one type of antibody present... and if there is, the diagnosis of multiple myeloma is made. Some of the patients that we see for parathyroid disease have had protein electrophoresis test performed to make sure they don't have multiple myeloma prior to them coming for treatment of their parathyroid disease. We believe that this is almost never necessary and this test is performed way too often. This is often done by endocrinologists who do not see parathyroid patients very often and they order a BUNCH of tests on your first visit (shotgun approach). Remember, almost everybody with high calcium will have parathyroid disease. If your doctor does not order a protein electrophoresis on your first visit, then good for them. You are almost guaranteed to never need it and you have a good doctor. Sarcoidosis, or "sarcoid" for short, is a disease where the body's immune system is over activated for unclear reasons. Sarcoidosis can often go many years before being detected, and is often found by accident when a chest x-ray is obtained for some other reason. Other patients can have symptoms such as cough or shortness of breath. If a patient has symptoms the disease is usually treated with steroids. The cause of sarcoidosis is unknown. How sarcoidosis causes high calcium is not known, but is probably due to the same two ways that cancer causes increased calcium. This disease is very uncommon. Vitamin D is extremely important in helping maintain the balance of calcium in our bodies. In fact, that's the most important thing that vitamin D does! Vitamin D has a direct effect on the intestines and encourages the intestines to absorb calcium from the food that you have eaten (this is why most milks are fortified with vitamin D). Vitamin D also has an effect on the kidneys and tells the kidneys to not let any calcium escape into the urine. Therefore, it is possible for a person to take too much vitamin D so that they absorb too much calcium from their diet and hold on to too much calcium in their kidneys... and their calcium goes high. Vitamin D in normal doses, like the amount you get from drinking fortified milk or from being out in the sun, will NOT cause high calcium. But very high doses of Vitamin D supplements can cause your calcium to bump into the high range - this is essentially an overdose on Vitamin D. This has become much more common as people are taking very high doses, such as 5000 units of Vitamin D3 or more daily. If you are taking these massive doses of Vitamin D and your calcium is high, you should stop taking Vitamin D now. You may have a parathyroid tumor, or you may be overdosing on Vitamin D - either way, stop the Vitamin D and recheck your calcium level. Note that if your high calcium is due to a Vitamin D overdose, your parathyroid hormone (PTH) will be low. IMPORTANT: If your blood calcium is high and your blood vitamin D is LOW, then you have a parathyroid tumor. This is one of the most confusing things for doctors to understand. Some uninformed doctors will see that your calcium is high and your vitamin D is low and they will prescribe a high dosage of vitamin D "to help make the calcium go down". We have an entire page of this website dedicated to this one topic, but allow us to summarize it here in one absolute, very clear sentence: If you have a high blood calcium and your vitamin D level is low, then near 100% you have a parathyroid tumor in your neck that is the cause of the high blood calcium and this tumor must be removed. Giving Vitamin D to a patient with high blood calcium can be dangerous and shows that the doctor doesn't understand parathyroid disease very well. 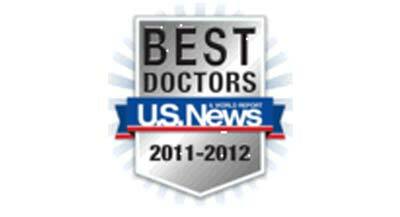 See our page on "Low Vitamin D with High Blood Calcium". It is possible for certain drugs that people are prescribed for high blood pressure to have an effect on the kidney in such a way that the kidney doesn't let enough calcium escape the blood into the urine... and the excess calcium shows up as a high blood calcium test. It is possible but RARE. The one drug that gets blamed for this is HCTZ (hydrochlorothyazide) which is a "water pill" used for blood pressure. If you have high blood calcium and you are on this drug your doctor will probably take you off of this medicine and then re-check your blood in a few weeks. Virtually 100% of the time this is not the problem and your blood calcium will continue to be high and you will have hyperparathyroidism (like more than 99% of people do who have high blood calcium). Be careful of letting a doctor say that your blood calcium is high because you are on this blood pressure medicine. In practice, it almost never happens. It is MUCH more common for you to have a parathyroid problem and just coincidentally be on this very common drug. Be careful here... this is a common mistake made that delays the diagnosis of parathyroid disease. Make sure your doctor doesn't just "forget" about the high calcium and just blame it on HCTZ. This drives us crazy! HCTZ almost never causes high calcium. Milk-Alkali Syndrome is a phenomenon that occurs when a patient has a stomach ulcer and they self treat it by taking lots of antacids and drinking lots of milk. They do this so they can get relief of the pain in their stomach due to too much acid in the stomach. They buy lots of antacids like TUMS (which is just calcium carbonate) and eat lots of them. This really doesn't happen very often because we now have better ways of treating stomach ulcers (Zantac, Prilosec, Nexium, Tagamet, etc). It is a common mistake for doctors to blame a patient's high blood calcium on eating too much calcium. Calcium levels are tightly regulated in your body, and normal parathyroid glands will NOT let this happen, even if you eat lots of diary products. Taking excess calcium in the form of supplements can raise your calcium, but only if you take really excessive doses (like chewing a bottle of TUMS daily). High Calcium Cause Number 7: Paget's Disease of the Bone. Paget's Disease (osteitis deformans) is a chronic skeletal disorder that often results in enlarged or deformed bones in one or more regions of the skeleton. Excessive bone breakdown and formation can result in bone, which is dense but fragile. This continued bone breakdown can be a cause of hypercalcemia (too much calcium in the bone). It is extremely uncommon for Paget's disease to be diagnosed after a patient had a routine blood test that showed a high calcium level. Thus, we put it on this page for completeness sake, but trust me, if you are on this page because you have a high calcium level in your blood... you don't have this. For more about Paget's Disease click here. What is a normal blood calcium level? Normal calcium levels vary with age. Adults should generally have calcium levels that are "in the 9s" in mg/dl. Most labs will give a normal calcium range from about 8.8 to 10.5 mg/dl, but this is not correcting for age. A value of 10.5 in a teenager is perfectly normal, but 10.5 in adult over age 35 is too high – this is hypercalcemia. Teenagers and young adults can have normal calcium levels up into the mid 10s (mg/dl). But adults over the age of about 35 to 40 should have lower calcium levels, not going above 10.0 mg/dl (or 2.5 mmol/l). Most adults have calcium levels somewhere between 9.4 and 9.9 mg/dl, which is why we like to say that “adults live in the 9s”. If you are an adult over 40 and your calcium is over 10.0 mg/dl (2.5 mmol/l) on several occasions, then you are very likely to have a parathyroid tumor. Enter your age and our calculator will give the upper limit of normal calcium for you. The Upper Limit of Calcium for your age is [Enter Your Age Above] mg/dl in the USA, and [Enter Your Age Above] mmol/L in most other countries. Calcium levels above this should be considered too high for your age. The upper limit of calcium varies with age with teenagers having the highest levels and adults over 50 having the lowest. Unfortunately, most labs don't give the upper limit of normal according to your age, so we have made this calculator for you. Note that blood calcium is measured differently in different parts of the world. In the USA we measure calcium with the units mg/dl while most other countries use the units mmol/L. The units your lab uses will be printed right next to your results. Calcium, the fifth most common element in the body, exists almost entirely (99%) as crystalline hydroxyapatite in bones and teeth. Calcium is used by nerve cells to propagate an impulse, and by muscle cells to contract. Humans want extremely regulated calcium levels because our brains (and entire nervous system) rely on calcium. If the calcium level in our blood is too high or too low, we get symptoms in our nervous system (click here to read more about symptoms of high calcium). There are three ways that calcium is present in our blood: 1) protein-bound (45%); 2) attached to small diffusible anions such as citrate, lactate, phosphate and bicarbonate (10%); and ionized (45%). Doctors almost always measure just one type of calcium (serum calcium). This is the calcium that gets measured when a routine "calcium" level is ordered. This measures the amount of all three types of calcium present in the blood and this is the only test that is needed almost all the time. Ionized calcium can help in the diagnosis of hyperparathyroidism. It is particularly helpful if the total calcium level is borderline, on the high normal range. If your calcium is high normal then make sure your ionized calcium is measured. Some people with primary hyperparathyroidism will have high normal total calcium levels but high ionized calcium levels. Hypercalcemia in adults is defined as a serum calcium concentration above 10.0 mg/dL (2.5 mmol/L in Canada, Europe, and Asia). A serum calcium concentration >14.0 mg/dL (>3.5 mmol/L) requires immediate therapy. Although there are many causes of hypercalcemia, primary hyperparathyroidism is the most common cause in the general population, and cancer and other non-parathyroid causes usually occur in hospitalized patients. If you are sitting in front a computer and you have high calcium, then the odds of you having hyperparathyroidism as the cause of your high calcium is about 99%. The odds of one of the other problems (like cancer) listed above being the cause of your high calcium is near zero. Stop worrying, and don't let your doctor do all sorts of silly tests looking for cancer. You have hyperparathyroidism until proven otherwise. It is easy to fix, and must be fixed. Parathyroid Hormone Related Peptide (PTHrp) is not a perfect test to determine who's high calcium is due to cancer and who's is not. About 3% of normal people will have a high PTHrp and, 6% of people with hyperparathyroidism will have a high level. On the flip side, 18% of people with hypercalcemia due to cancer will have normal PTHrp levels. This is not a good test unless parathyroid disease has already been ruled out. One of the best page of this website is the page that describes the video of Dr Norman performing a complete parathyroid operation, removing two parathyroid tumors--all in less than 13 minutes. This is a very popular video. 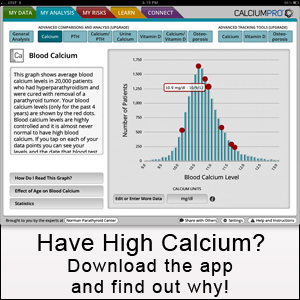 If you have high calcium, then you may want to consider downloading the CalciumPro app. Let the computer tell you what is wrong. You will know within 5 minutes that you don't have cancer and do have a parathyroid problem. Then you can skip the scans and tests your doctor wants to do. If you want to read more about calcium levels in the blood, how to diagnose parathyroid disease, and look at a graph of normal and high calcium levels, then go to our page on Diagnosing Parathyroid Disease. This page has some very nice graphs. Remember, you don't have cancer, you almost certainly have hyperparathyroidism which is easy to fix. Remember, an expert surgeon should be able to fix this problem in about 20 minutes or less. Also, you may want to go to our home page and start from the beginning. 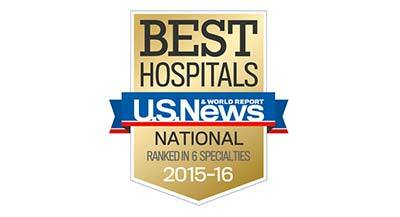 Read testimonials of patients who came to our center for surgery. See their symptoms and how they felt.